Megan and I had an amazing conversation with Maria Castillo. We went past the regular past life conversation and discussed what happens between lives. Maria told us what it was like to work closely with Brian Weiss and to have two of her cases in his latest book. One of the most fascinating parts of the conversation focused on experiencing lives on different planets and of being something other than humanoid. I don’t want to ruin the surprise for you, but our soul can inhabit some very interesting bodies! Maria C. Castillo is a bilingual Licensed Clinical Social Worker in private practice with over 25 years of experience. She received her MSW from Hunter College in New York City. Maria has worked with a variety of clients and issu es as a therapist, taught Social Work as an adjunct professor at a local university, and has appeared on television and radio. She was certified in hypnosis by The National Guild of Hypnotists and trained in Past Life Regression with Brian Weiss, MD. Maria is very honored to have been a contributing author in Dr. Weiss’ latest book Miracles Happen: Transformational Healing Power of Past Life Memories. Two of her past life sessions with clients were featured in the book. 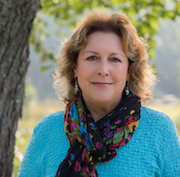 As a certified Life Between Lives Therapist trained by The Newton Institute and Michael Newton, PhD., she is available for private sessions as well as speaking engagements on the subject. Maria’s sessions may be conducted in Spanish. She would like to offer everyone the experience of connecting with their soul and often leads workshops to familiarize individuals with regression to past lives and the afterlife.